This is a new OEM Sig Sauer P250/P320 Compact Small grip shell in OD Green for .45 ACP P250 and P320 pistols only. 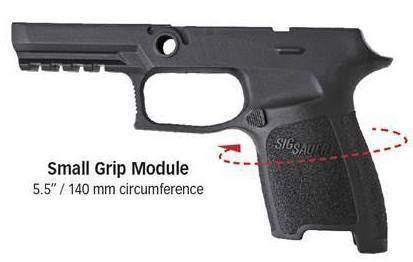 This will not work for models chambered in 9mm, .40 S&W, and .357 SIG. Note: This shade of OD Green is darker than that of Magpul accessories.